If you’re looking for style inspiration, Instagram is a pretty sure bet of where you can find it. 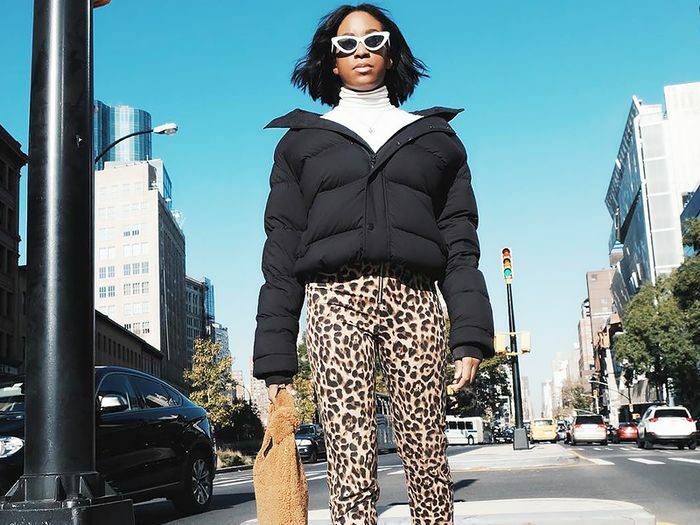 And while the platform has helped fashion powerhouses with over a million followers reach Insta-fame, there are other rising influencers on our radar who deserve a follow for some seriously cool style inspiration. You’re probably following many of the established influencers already—and for good reason—but these newer talents are sure to add some fresh style ideas to your feed. From micro-influencers with directional style who are gaining an audience to more established fashion girls who are creating editorial-level content, these are some people inspiring us who we think deserve your attention. Perhaps it’s the notion of discovery that makes them exciting, or maybe it’s just their creative vision and unique take on fashion, but we’re predicting big things for these talents. Here, find out the 16 fashion people worth a follow right now. You might recognize Paloma Elsesser from her campaigns with Fenty and Glossier, sitting as a muse for Pat McGrath, or even from the pages of Vogue. But when she isn’t modeling for industry powerhouses, she’s also speaking out about things that matter to her like body positivity and race. The creative talent behind Style Heroine, Smyrniotaki's editorial-style photographs will inspire any fashion girl. Shot around the world on her travels to places like Jordan and Phuket and Shanghai, she captures her style that can be modern and tailored one day and elegant the next. She’s always fashion-forward, and you’ll spot her wearing interesting trends and cool new ways to wear closet staples. Not only does Kristen Noel Crawley have a killer fashion sense (wearing a cool mix of brands like Dior, Nike, and Y-Project), she’s also a female entrepreneur. As a gallery owner, designer of KDIA Jewelry, and the woman behind KNC Beauty (whose cult lip masks you might have spotted on Emma Stone), she defines what it means to be a multidimensional career woman today. Hailing from Copenhagen, Sophia Roe embodies cool Scandinavian style. Wearing everything from simple separates to bold colors, her styling tricks always feel fresh and inspiring. If you want an insider look at the fashion industry, make sure to follow the senior digital fashion editor of Harper’s Bazaar. On her account, you’ll see everything from the new brands she’s wearing to the fashion events and trips she’s taking. If you want to know what cool style looks like in L.A., take a scroll through Rachel Nguyen’s Instagram, @thatschic. Brands like Réalisation Par, Alighieri, and Orseund Iris are on regular rotation, and you’ll also get a real-life sense of her California days from her photos. With shoots under her belt with magazines like Dazed & Confused and brands from Forever 21 to Miaou and Lonely Lingerie, Yasmin Geurts is a model on our radar. She’s also not afraid to speak out about her personal views on politics and the issues that matter to her. Not only does Courtnee Crews have an amazing eye for cool trends and how to style them, but she also has an uncanny ability to make affordable pieces look elevated and expensive. Look to her for how to wear the cool trends of the moment. Florida-based fashion influencer Noor is a rising influencer whose cool style showcases her penchant for of-the-moment trends like teddy bear coats and fanny packs mixed with classic pieces like ankle boots and tailored blazers. Parisian Claire Most offers a cool take on French style. She’s a fan of fashion-forward trends like “dad” sneakers, athleisure, and puffer coats. Her day-in-the-life snaps will transport you to Paris and Amsterdam, where she spends her time. Snapping photos of her everyday outfits, María Bernad isn’t afraid of color. Her feed is a cheerful mix of pastels and bold hues that will want to make you add new shades to your wardrobe. On top of her cool personal style, she’s also a fashion designer and co-founder of Les Fleurs Vintage. Who What Wear’s very own French-girl fashion columnist Sabina Socol has that whole effortless Parisian style thing down and channels a young Brigitte Bardot. And one of our favorite things about her photos is that she’s usually smiling in them. Resse Blutstein’s @double3xposure account has exploded this year. Brands like Calvin Klein and Tory Burch have already picked up on her cool style, and we think this will be a big year for her (as well as her twin sister, @mollyblustein, who recently started posting her own photos to Instagram). Nnenna Echem’s Instagram feed showcases her cool personal style. She regularly wears bold colors and chic accessories and has a knack for styling affordable finds. If you’re a fan of chic, minimal style, look no further than Débora Rosa. She mixes luxe pieces from Céline and The Row with affordable finds from H&M and Mango. An L.A.-based model who works with cool brands like Réalisation Par and LPA—as well as the designer and co-founder of Wildflower Cases—Devon Carlson showcases her stylish everyday life in her feed. Here’s to another year of incredible style inspiration. Happy Instagramming!